For sale are twelve (12) Gone Fishing Scout SWAP or Craft Kits. 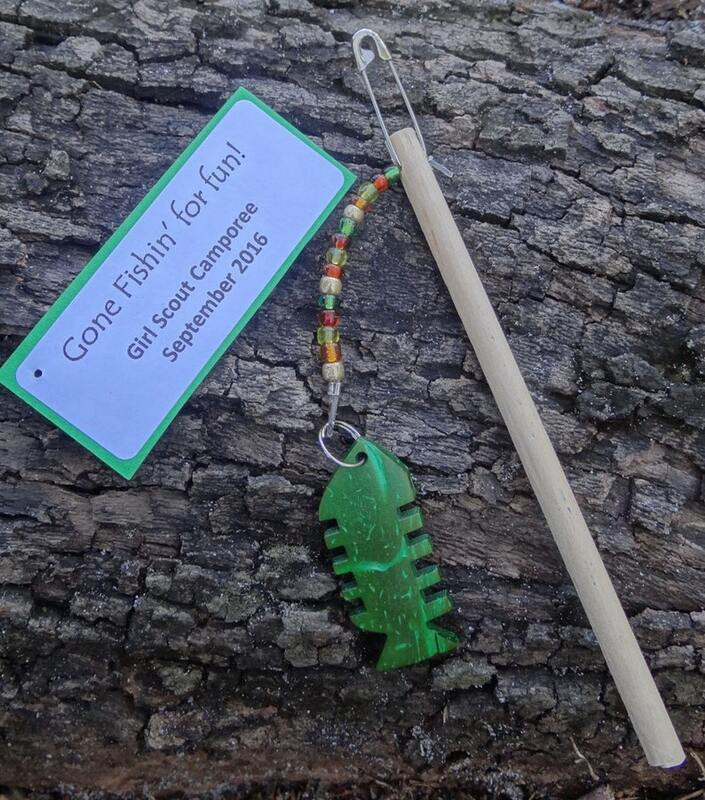 These colorful fish on fishing poles are as fun to make as they are to SWAP! Celebrate a campout, day hike, fishing trip, or fishing party by making these one-of-a-kind crafts. Not going fishing? It's okay, these SWAPs can also send the message that - scouts are always fishing for fun! Your scouts get to string the fishing line with coordinated beads, thread and tie the line to the pole, and add the personalized tag. All SWAP kits include FREE personalized tags. Send us a message with your desired text, and we'll take care of the rest! JUST ADD SCISSORS.